While reports from Intel that players won’t feel too much sting from the emergency patch for the Meltdown have proven true for the most part, the doesn’t mean that the hasty security fix isn’t putting strain elsewhere. Cloud services and gaming server back-ends are probably the area that will see the most performance loss, and this is backed up by a graph published yeterday by Fortnite studio Epic, showing a 20% or more increase in server CPU load as the patch went live. A lot of our favorite online games are likely to creak and groan a little over the next few weeks, but don’t let that put you off playing some of the best stuff on PC. The most immediate effect that players might expect to experience in the aftermath of Meltdown is for servers to get noticeably laggier around peak hours, if the server hosts have scaled their infrastructure to handle pre-patch loads. 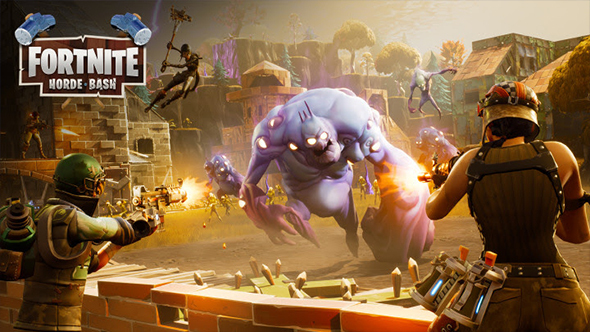 Epic are working to make sure that nothing grinds to a halt, but do warn that unexpected issues may happen over the next week as hardware comes under more strain than they had planned to take on. While an undeniable pain in the backside for many, it is highly recommended that you keep up with Windows patches if you have one of the numerous Intel or AMD CPUs containing the recently revealed security holes, which can be exploited to steal passwords among other things. For all but the most CPU-limited of games, you’ll probably be seeing somewhere around a 1% hit to framerate on your own end. Maybe 2 or 3 at a stretch. Of course, Fortnite won’t be the only game to see its servers stressed – anything with major server farms will likely take some kind of hit, although if developers move quickly and scale up cloud servers, then that should at least mitigate the worst of it. Still, for games that are known for struggling when their servers are at capacity, such as Eve Online or PlayerUnknown’s Battlegrounds, it seems likely that some services might be effected. Try not to be too mad at the developers. They’re just as surprised by this sudden jump in resource usage as the rest of us.